The tired old argument that cyclists have less right to be on the road because they don’t pay vehicle excise duty – sometimes still referred to as road tax – received another blow this week when it transpired that cyclists are more likely to also drive cars, and pay VED, than the population as a whole. Motorists do not pay directly for the roads, which are paid for via general and local taxation. But even if roads were paid for out of vehicle excise duty, it seems that cyclists would be more than paying their way. Ian Austin MP this week asked Secretary of State for Transport Norman Baker to give his estimate of the proportion of cyclists that own cars. According to Baker, some 83% of the cyclists participating in the National Travel Survey in 2008 and 2009 were resident in a household with access to a car or van. The equivalent overall figure for all survey respondents in Great Britain was 82%. iPayRoadTax.com this week broke the story of a young driver who used her Twitter account to brag about knocking over a cyclist. Her message was widely published and subsequently picked up by Norfolk police. The tribalism that distinguishes cyclists and motorists as different and distinct groups is divisive and dangerous when interpreted in such a mindless way. In reality many of us are pedestrians and cyclists and motorists. First and foremost, we are all people. There are those who describe vehicle excise duty (VED) as car tax, but does changing the terminology makes it any less confusing? It’s not really a car tax, as it’s now based on emissions, except it isn’t if your car is ‘cleaner’ than most. And the taxation class of motorcycles is described as ‘bicycle’ A rational way forward might be to combine vehicle excise duty and fuel duty – the more you drive/pollute, the more you pay. Cycle insurance from the ETA includes all kinds of things to make life on two wheels a little easier. If your bike is stolen we pay out on a new-for-old basis and if it’s damaged accidentally or vandalised we’ll pay for it to be repaired. If you’re unlucky enough to cause damage to a person or property while out cycling we provide to £5m third party cover and we have legal team ready and waiting to fight your corner in court when you have a right to compensation following a collision. For a full list of what’s included and an instant quote, click here. I wonder if this ridiculous car/bike tribalism is due to the small proportion of motorised road users who have never ridden a bike? What I do notice riding is that drivers of smaller, older, cars seem far more respectful and share space better. Ad for insurance on the page – could cyclists be offered insurance that didn’t require use of an impossibly expensive and heavy lock? The appalling attitude towards cyclists in this country is sickening, made all the worse the design of the road infrastructure and intentionally vague laws. The road tax argument itself indicative of the sheer arrogant stupidity amongst some drivers. In some cases this becomes life-threatening. The law needs an overhaul. 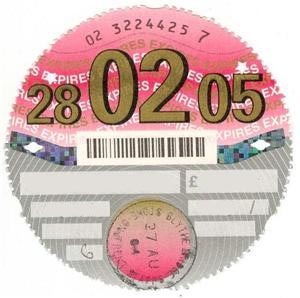 A good start would be changing the name of the “Tax Disc” and re-educating people that it’s not an automatic right to NOT share the road with other commuters. Idiotic and dangerous cyclists deserve no quarter, but statistics show that most for the most part it’s always the cyclists who comes off worse. I’m not anti-car, I’m anti-idiot…and an idiot behind a ton or more of killing machine is something I see day in, day out – far more than cyclists jumping red lights. If it wasn’t cyclists this minority of moronic drivers would find something else to attack, so let’s knock this nail on the head and douse their fire. The country will be better for it and more of the right kind of people will want to come and live here.